The appointment to the post of the Attorney General of India has been pushed under a cloud of uncertainty, with Senior Advocate and Law Minister Ram Jethmalani writing a strongly worded letter to Prime Minister Narendra Modi, expressing his resentment against Mukul Rohatgi’s appointment. This has been termed as a reason for staying Rohatgi’s appointment to the post, with Modi now seeking explanations on the matter. The constitutional post has been vacant for a while now, after the resignation of Goolam E Vahanvati last month, following election results. Rohatgi had himself earlier confirmed the appointment. However, the ultimate resolution has been put on hold now, with Government commencing the course of appointment of senior advocate Ranjit Kumar as Solicitor General (SG) and five other senior advocates- Maninder SinAgh, PS Patwalia, Tushar Mehta, Neeraj Kishan Kaul and PS Narasimha as additional solicitors general (ASG). Jethmalani was expelled for six years after he clashed with the party on a series of fronts. He accused the BJP of going soft on the ruling coalition on corruption. He also openly campaigned against a second term as president for Nitin Gadkari, who was engulfed last year in a series of corruption charges linked to his vast business empire, Purti. Rohatgi was Additional Solicitor General during the previous NDA government at the Centre and is considered to be very close to Arun Jaitely. Rohatgi has defended India’s almost all politicians and industrial houses in the Country. 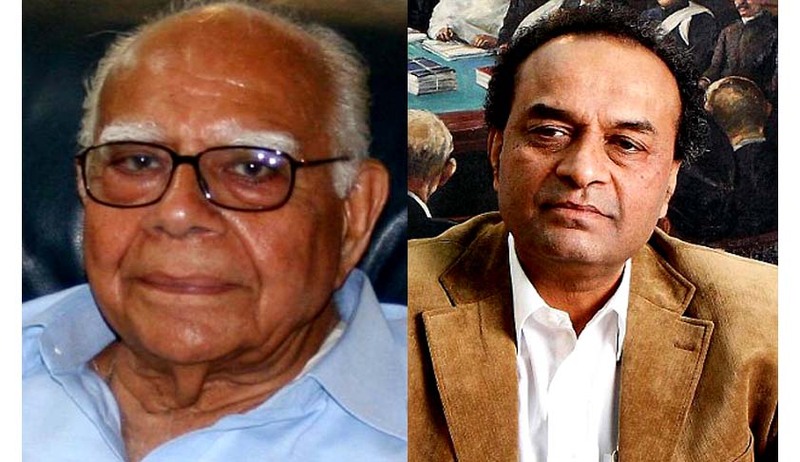 While Salve was defending Mukesh Ambani, it was Rohatgi and Jethmalani who were leading the Anil Ambani camp in the dispute between Ambani brothers. Rohatgi is regarded as a ‘Master of Admission matters’ in Supreme Court. The Government now seems to be having second thoughts over the issue, with the PM minutely reviewing the strengths and perceived weaknesses of everyone under consideration. TOI reported that Former AG Ashok Desai and senior advocate Anil Diwan are also in the running for the post. The name of Harish Salve, who was the solicitor general in the previous NDA regime, is also being considered.